the Accumulated theoretical and actual materials were provided by Charles Darwinism (1809-1882) into a coherent system that received subsequently the name of Darwinism. 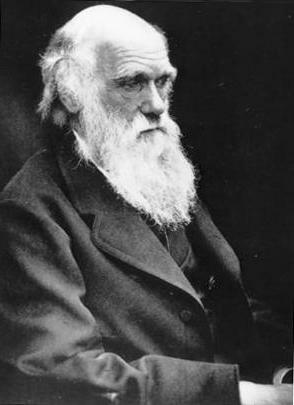 Darwin found that the principal factors of evolution are genetic variation and natural selection. In his theory, Darwin argued for the existence of two types of variability - definite and indefinite (hereditary). In the case where operating conditions are affecting change all or most individuals, there is a certain variation, such as the relationship between climate and thickness of the skin or coat. Some variability in the absence of the incumbent factor, as a rule, inheritance is not fixed in the next generation (i.e. strictly adaptive in nature). Uncertain changes occur in individuals under the influence of the external environment, but are sporadic and hereditary in nature. If arisen uncertain changes in useful for this type, the process of natural selection, they are checked, in giving further rise to a new type. For example, if in a group of plants of the same species under the influence of random reasons arose individual plants with signs of cold resistance, at hit in a colder climate survive it is cold-resistant plant plants, providing, thus, the beginning of a new cold resistant plants. Thanks to the continuous action of natural selection animals or plants, located in various areas of habitat, and adapted to local conditions vary in different directions (in accordance with these conditions) and differ in their characteristics, or to diverge from each other. This divergence must lead to the formation of new forms, which in turn will also diverge from each other, so one of the original form occurs more or less new forms (species or varieties). Darwin took already firmly fixed in the biology of the concept of form and was told about evolution as the origin of species. However, Darwin's theory only pointed out the main factors of evolution and so gave only a General description of the process. Works Including Darwin were highly appreciated by K. Marx and F. Engels. They noted that the doctrine of evolution explained the possibility of using the historical method in the Annex to the nature, struck religious beliefs about constancy and firmness of all existing things, idealistic and metaphysical views on the development of the organic world. Works Including Darwin were named F. Engels one of the major achievements of natural Sciences H1H century.